By Craig | December 31, 2018 | This post may contain affiliate links, which means we may receive a small commission, at no cost to you, if you make a purchase through a link. Read our Disclosure. 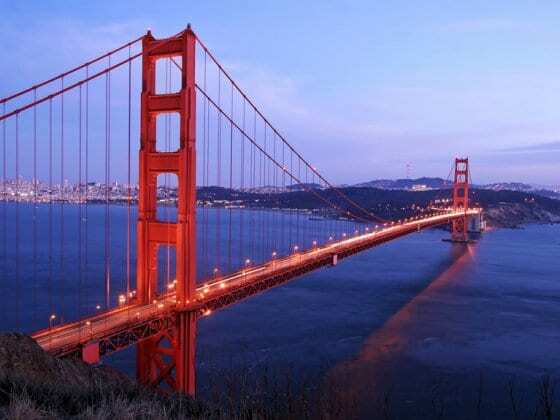 This week’s Sunday Spotlight – What to do in San Francisco. 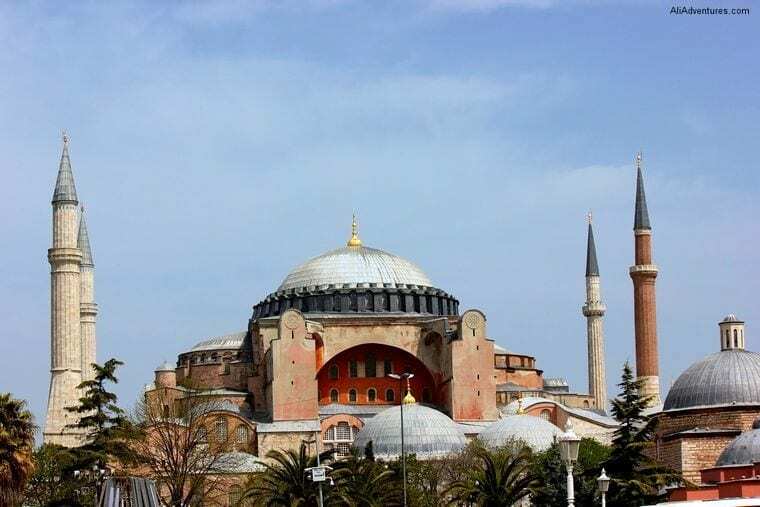 On select Sunday’s we shine the spotlight on a different city by sharing travel tips and stories written by other bloggers around the web. We hope these blog posts will inform and inspire you to visit San Francisco. Visiting San Francisco with kids? AT&T Park – who’s on first at a Giants baseball game? San Francisco is not famous for its weather, and chances are it could rain. Courtney Carver and her daughter spent 4 days in San Francisco and discovered that the city takes on a whole new look and feel in the rain and it’s yours to enjoy. Cassie Kifer’s favorite thing about San Francisco is its food culture and enthusiasm for local, fresh, organic, hard-to-find, and artisan-crafted food products. 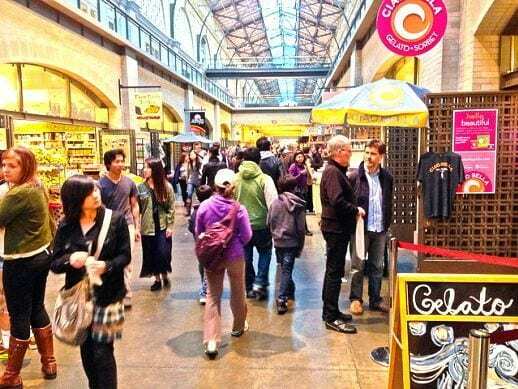 For this reason, the first place she always recommends first-time visitors go is the Ferry Building. Depending on where you come from, San Francisco can be an expensive city to visit. Good thing Ashley offers three great insider tips on getting around, where to eat, and going to the museums. doing San Francisco on the cheap. 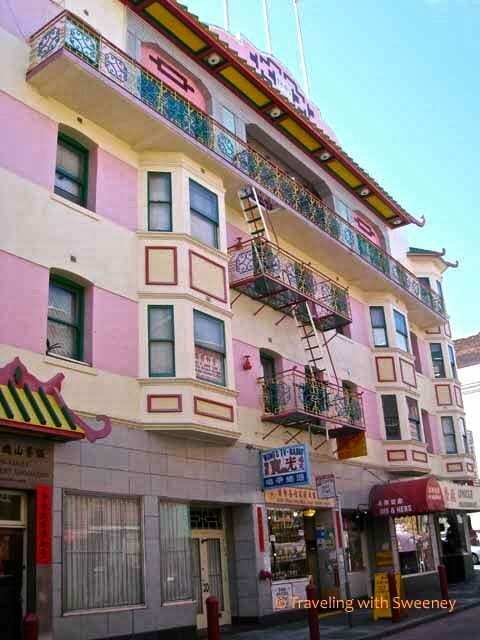 Cathy Sweeney took a walking tour in Chinatown and discovered that off the main tourist routes are the alleys of Chinatown that offer a different, old world perspective of life in this famous area of the city. 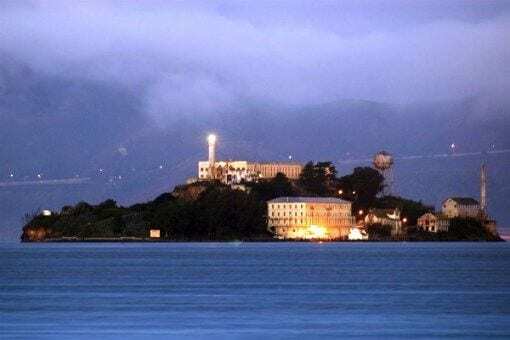 You can’t visit San Francisco without taking the ferry over to this famous island which served as a lighthouse and military site before becoming a Federal prison in 1963. Some of the most infamous criminals in history were housed there, and Mary Jo found the Cellhouse Audio Tour particularly chilling. 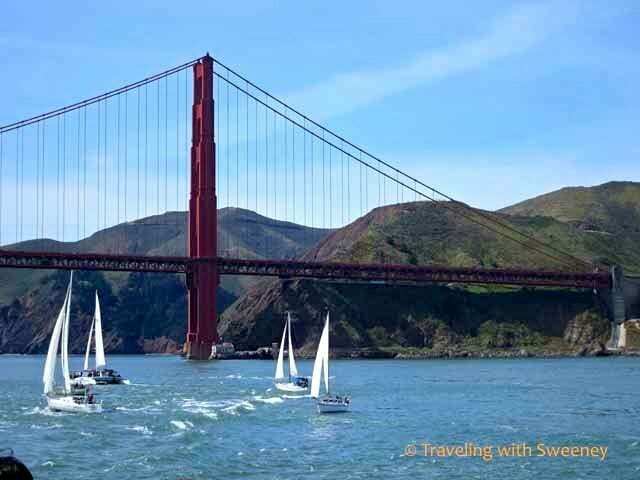 Whilst the 60 minute Bay Cruise is definitely a touristy thing to do, Cathy Sweeney still takes her out-of-town visitors because it offers great views of the city and perspectives of the Golden Gate Bridge that you can’t get any other way. During his short visit to San Francisco, Adam gave himself one priority: eat a San Francisco-style burrito. There’s a burrito restaurant in Berlin that’s famous for them, but he wanted the real thing. 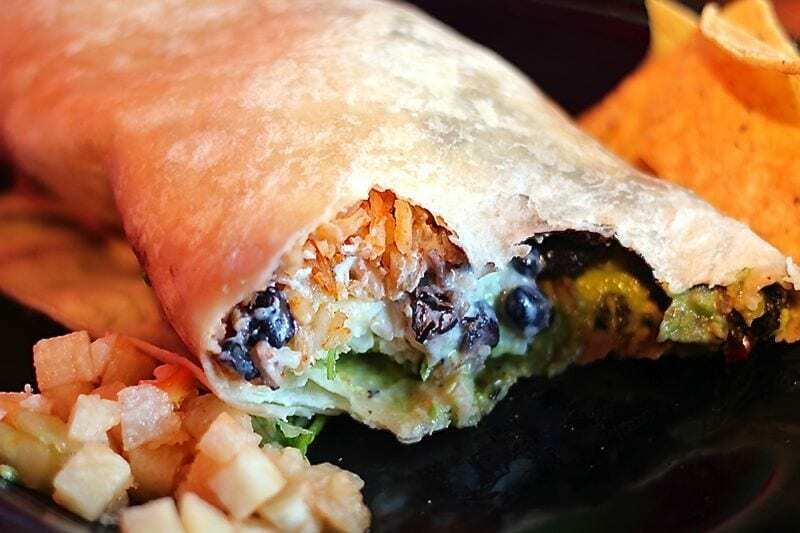 So he set out on a quest to find the best burrito in SF, and thanks to some suggestions he went straight for the Mission. 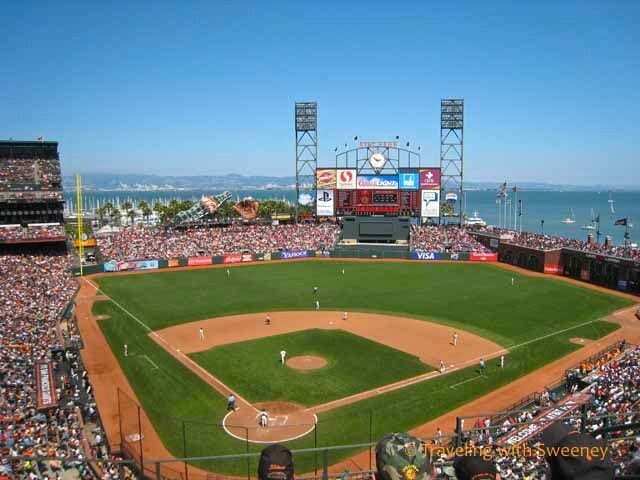 Whether you’re a local or a visitor from out of town, and even if you’re not a sports fan, Cathy Sweeney suggests you should take in a San Francisco Giants baseball game to enjoy the views, people watching, ballpark food aromas and energy of the crowd. Read: AT&T Park: who’s on first? 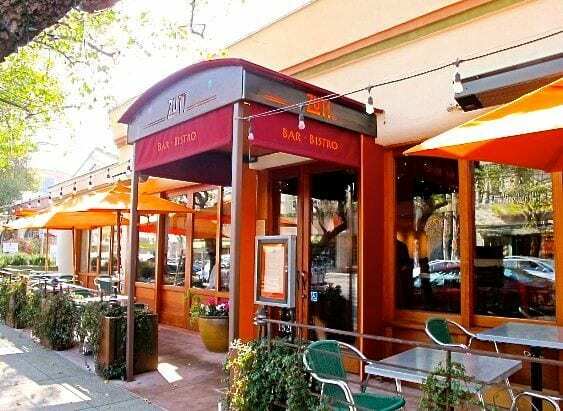 We personally spent one week in San Francisco back in 2006, and we also asked our facebook fans for their own tips and suggestions. Here is what we, and them, had to say. Travelers who have never been to San Francisco might imagine it to be like the rest of California: warm and sunny year-round. But the weather here is unpredictable. Whilst this packing list is written from the perspective of a female traveler, there are some great tips for us all. Berkeley, California is a city known for its innovative food, love of upsetting the status quo, and outstanding academics. Jenna Francisco discovers that it also makes for the perfect day trip. 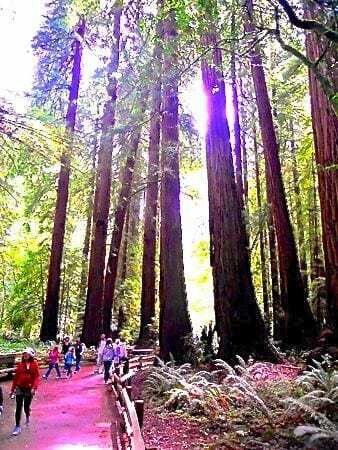 Located a few miles north of Golden Gate Park, Muir Woods, home to the mighty Redwoods, is one of Jeremy Branham’s favorite side trips from the city, and he was left wandering whether it’s their size or their age that inspires you the most. There’s so much to do in San Francisco that some visitors never leave the city. 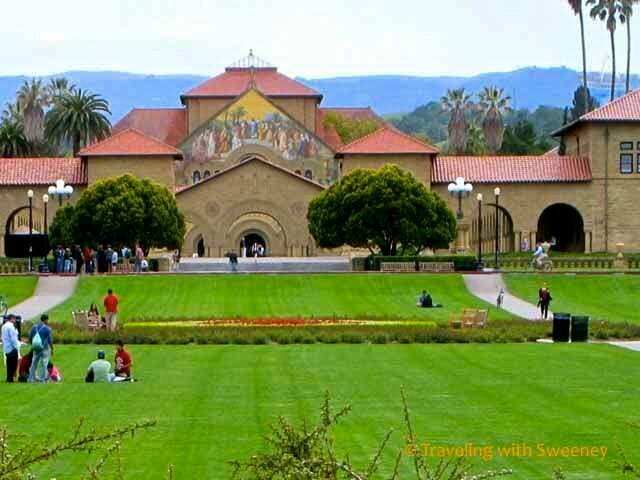 But Cathy Sweeney suggests heading a little south for some interesting things to see and do, including Stanford University, Palo Alto, Winchester Mystery House, CuriOdyssey and more. 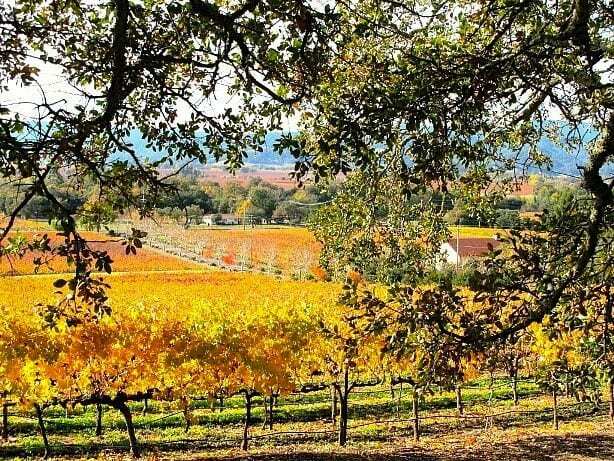 Napa Valley is a world famous wine growing region, but it is also incredibly beautiful including architecture and gardens, and each one of the five towns making up the region offers something different. When Henry Lee’s friend suggested a trip to Point Reyes, 50km northeast of San Francisco, they had to think about the reputation of the weather, the windiest and foggiest location on the US west coast. But the sun was out and so he decided to discover this geologically diverse area. What are your tips for San Francisco? I LOVE this! I lived i San Francisco for 4 months last year and I absolutely loved the city and its people. Seeing these pics takes me back… Oh, how I miss it! It’s a city I could definitely live in for a few months. Looking forward to your posts. Very cool to be included in your round up of SF things to do. I see I’m in great company, too. Great suggestions by everyone. It’s been ages since I’ve been to Muir Woods or Point Reyes — time to get back to those spots and others mentioned in the posts. Thanks! As a local you know the Bay area Cathy!! We must come and visit. Your welcome Cassie. You live close to a great city. Great tips! I LOVE the Ferry Market. San Francisco is a very unique city. Best tip I can give is pack in layers. Late Sept and the month of October best time to visit for the weather. Beautiful and interesting city any time of year! Our site automatically resizes portrait photos to 600 x 900 sorry. So yeah it looks better on your post. So excited to be included! I really did fall in love with San Francisco on that trip. Now after reading this post, I have all of these new reasons to go back. How will I find the time?! 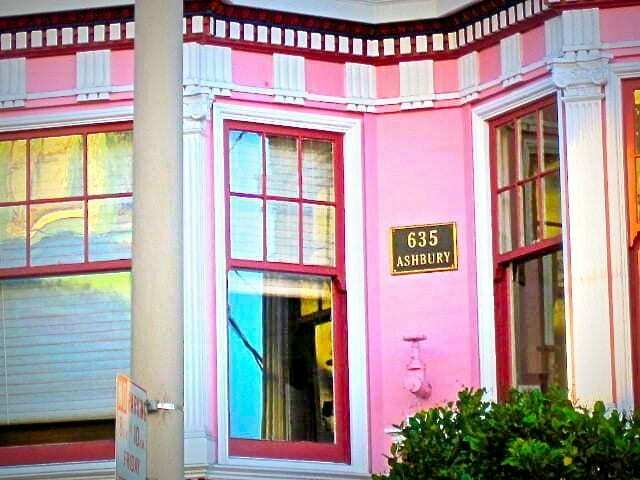 Your welcome Abby, I now want to go back too and explore Haight Ashbury with Izu. Thanks for including my post about Berkeley! San Francisco is such a special city, and obviously people just love it! 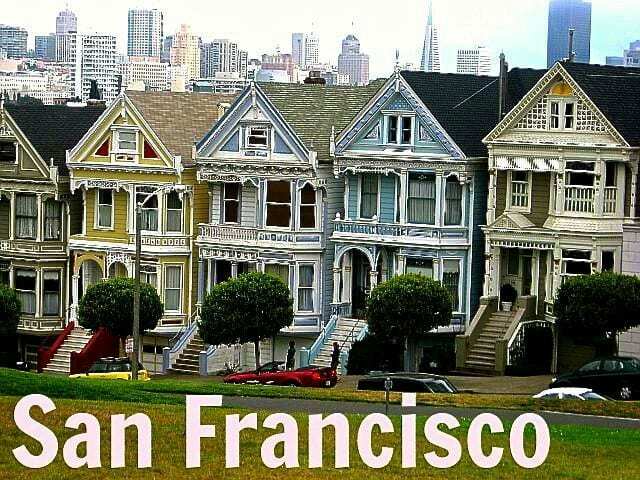 So much great information about fabulous San Francisco, one of our favorite cities to visit! I’m hoping to write about our adventures there soon, but in the mean time I really enjoyed this collection of wonderful articles to read. Sure thing Barbara. Hope you make it to SF soon! This post is exactly what I needed. Going to SF for the first time in less than 2 weeks. Thanks for all the tips! Awesome. Have a great time exploring! This is absolutely perfect! I’m going on a roadtrip from Seattle to San Francisco in late May, and this couldn’t have come at a more perfect time! Thanks guys! 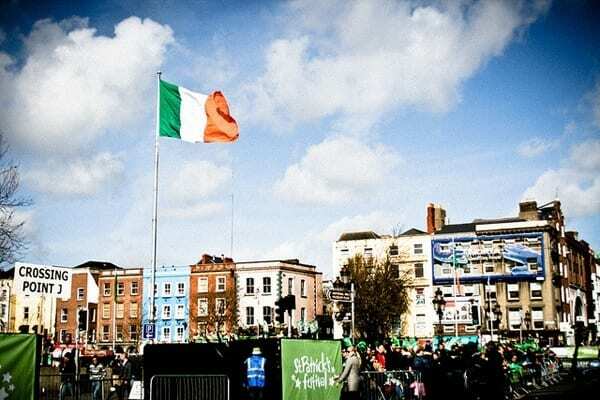 Traveling to San Francisco soon, just booked my flights with Tour America your tips where very useful. Craig,this post was of great help. 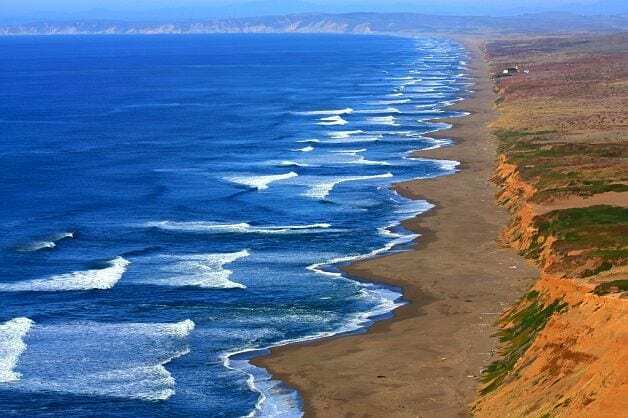 Point Reyes National Seashore is a must visit while travelling in San-Francisco. Its beauty leaves you spell bound. This is the great guide – to summarize San Francisco visit. Also, I am starting a tour company and if you guys coming to SF in January-February 2016, let me know. I am giving out FREE test tours – riding the hills (everyone whom I showed SF really enjoyed exactly this part – drive over our hills). Also let me know if you have any other questions about San Francisco – happy to help.